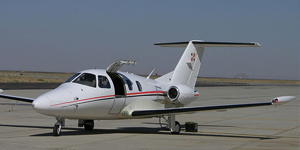 The Embraer Phenom 100 is a very light jet aircraft which began production in 2007 by Embraer. 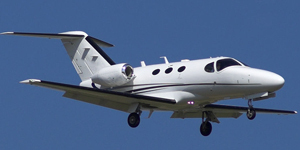 Below you will find details for the Phenom 100 such as aircraft pricing, example hourly rates, cabin configuration, and aircraft performance specifications. 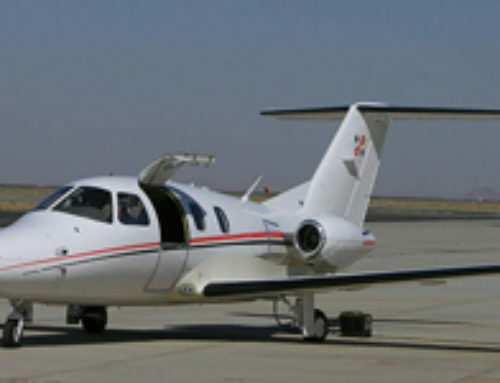 The EMB-500 is an excellent aircraft to buy, or simply rent for your on-demand charter flights. 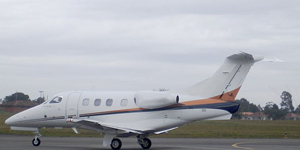 If you are interested in a quote to book your charter flight, purchasing an Embraer Phenom 100 for sale, or you need assistance with selling or managing your current aircraft, please do not hesitate to contact us. Total Baggage Space: 70 cu ft. 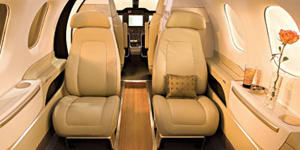 The Embraer Phenom 100 has a very comfortable and elegant BMW designed interior cabin. With short runways and weather in mind, this aircraft can land on shorter runways, and fly above 41,000 feet. This entry-level jet has a longer, taller, and wider cabin than its competitors and even has a conventional lav with a solid door. 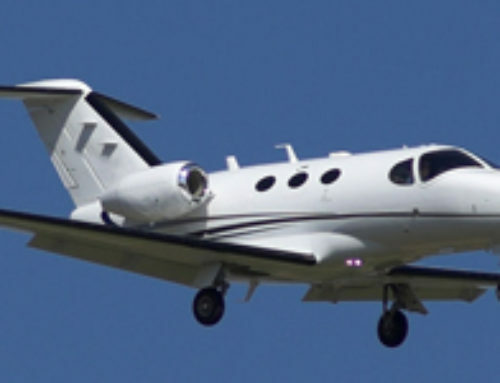 The Phenom 100 has four seats in the cabin for its passengers, and one in the cockpit sitting next to the pilot in command. Although this jet was rated to fly with one crew member, it is our preference for safety to always utilize 2 crew members. Embraer really conquered this very light jet market with a beautiful aircraft and more than sufficient space for luggage. **There is enough room in the external baggage compartment for luggage, golf clubs, and skis. In the nose and cabin there is some additional room for carry on size bags. Please Note: The pictures shown above are examples only. The aircraft age, interior and exterior colors along with seating layout/materials, specifications, and **dimensions may vary between aircraft.